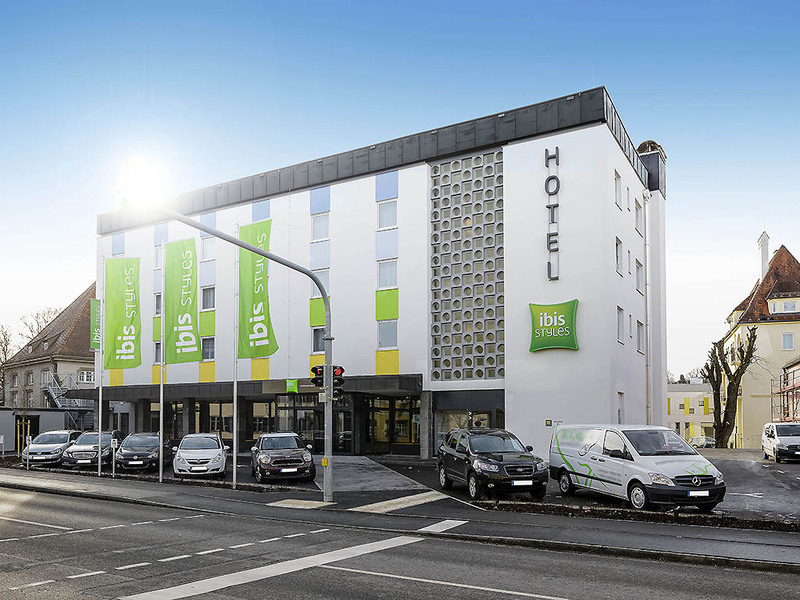 Breakfast and WIFI are provided free of charge at the ibis Styles Kaufbeuren hotel. These complimentary services are available at every ibis Styles hotel. Love the gentle hills of the Allgäu, cows and rich pastures? Then you are in the right place at the ibis Styles Kaufbeuren hotel: Enjoy the Alpine scenery before you even leave the hotel! The 52 rooms with flower meadow floors, mountain-climbing motifs and the fresh colors of the nearby alpine world will have you raring and ready to go! Love the gentle hills of the Allgäu, cows and rich pastures? Then you are in the right place at the ibis Styles Kaufbeuren hotel: Here you can enjoy the Alpine scenery before you even leave the hotel! Warm, welcoming and modern, with a comfortable bed and practical bathroom, our rooms offer everything you need for an enjoyable stay. You've probably seen some cool bars in your time, but the bar at the ibis Styles Kaufbeuren hotel is unique. Here you can enjoy your drink in style. You could even say it's where Andy Warhol meets Allgäu.